The weight scale can be a really useful tool when it comes to tracking weight loss, however the fact is that many of us rely too heavily on this piece of equipment. This has led to an epidemic of people becoming skinny fat, where they may be in a “good” BMI range but not necessarily healthy. This comes down to the simple point that the weight scale doesn’t discriminate based on body tissue, which is a huge problem when trying to asses one’s health. Being in the “healthy” or “normal” range doesn’t necessarily mean that you are in fact healthy, and conversely those who fall into the “overweight” or “obese” category can do so from having too much muscle. The BMI scale can be a good indicator for a quick health assessment, but it definitely should not be the only tool you use to do so. Here are some reasons how being skinny fat can impact your health, and why you should pay attention to more than just your weight. The major problem with BMI is that it only looks at a person’s weight versus their height without accounting for body composition. A person’s body composition is going to vary from person to person, and two people who are 6’0” and weight 200 lbs don’t necessarily have the same body fat/muscle/bone distribution. This means that your average couch potato who doesn’t indulge in too much junk food is going to register better on this scale than someone who is a gym rat that eats right. Another thing to consider here is that muscle tissue weighs a lot more than fat does by volume, so this scale really does bodybuilders and athletes a disservice. How Can You Tell if You’re Skinny Fat? Having a body composition that is too high in fat compared to muscle and bone isn’t a medical condition, but maybe it should be. 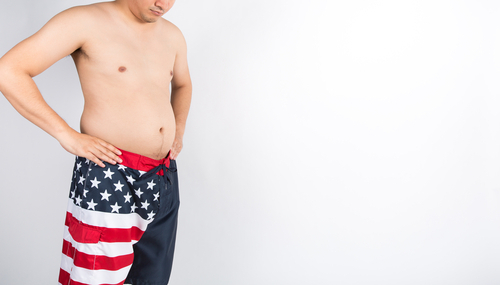 This is essentially where having too much body fat becomes a detriment to your health, which occurs for most men who have 25% or more body fat. You can get a sophisticated weight scale which can break down your fat, muscle and bone composition, go to the doctor to have a test performed, but there is an even easier way to do so. The most important area you want to focus on is your waistline, as men who tend to size 38 or more have too much body fat. 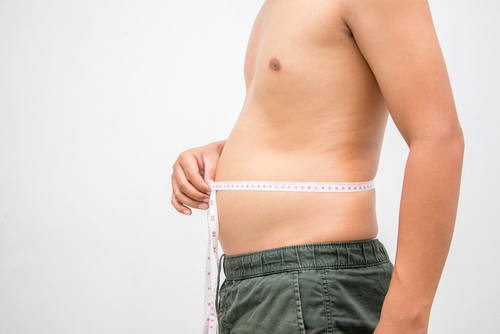 Excess weight tends to first accumulate around our midsections, which is especially the case for men. 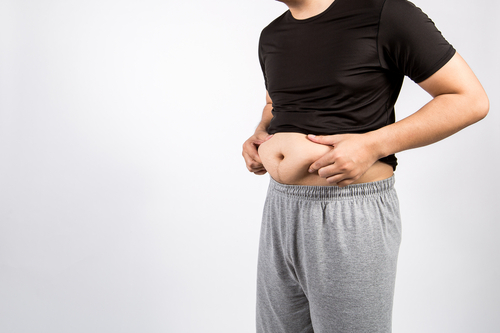 This is why keeping a close eye on your midsection can be the most effective way to keep yourself from getting skinny fat. Why Is Being Skinny Fat a Problem? If you’re someone that isn’t too concerned about their appearance, you may be thinking “why should I care if I’m a few pounds overweight?” Well not only is this an aesthetic issue, it is one that can impact your health as well. This has a lot to do with the properties of the fat tissue and cells themselves, which tend to produce chemicals which have additional negative effects on the body. These include hormones which signal the body to store more energy in the form of fat, further compounding the issue. Insulin resistance is another potential problem here, as not being able to properly metabolize food can affect blood sugar levels. The body uses insulin to regulate the sugar in our blood, and if it is not able to properly do so, it can lead to type II diabetes. Other problems involving the body’s inability to remove sugar in the system include damage done to the cardiovascular system. Excess sugar in the blood acts as an abrasive to the inside of our blood vessels, slowly damaging them over time. How Can You Avoid Getting Skinny Fat? Like other issues involving weight and body composition, it mostly comes down to your diet, and partly due to your activity level. If you are someone that works an office job or one that doesn’t require physical effort on your part, you shouldn’t be eating a tremendous amount of calories during the day-it s just not needed. The same thing holds true if you are someone who enjoys playing video games and watching tv instead of hitting the gym or getting exercise. You don’t have to avoid your favorite foods altogether, but make sure to keep the size of your portions in check.